Recently, I’ve noticed a couple of Celebrities strip right down to bare nothings with the aim of portraying “Confidence”, “Strength” or “Positive Body Image”. They often speak with an heir of regret brooding over lost times plagued with patterns of insecurities and dangerous levels of apprehension. Raising awareness over these real life issues is admirable considering how underplayed these concerns are in young people, but truth be told, we can sit round a table, put pen to paper or publish grand campaigns FULLY CLOTHED. Love you, be you. The road to hell is plaged with good intentions so exercise caution when going to lengths “for the greater good”. Nothing compares with dignity. Confidence looks pretty damn hot covered up too! Strength lies in the words of encouragement we share with one another. Loving the skin that you’re in begins with loving yourself on the inside. Once you’ve overcome that, there’s no love handle, thunder thigh, or tyre belly that will ever leave you feeling inadequate. Confidence is a state of mind. If the dictionary had no words, only pictures, who/what would you see under “Confidence”? clearly, I see Malala. Ps: Confidence wears make up and sometimes she doesn’t. Strength is Goliath and sometimes he’s David, Positive Self Image is thick but guess what… sometimes she’s skinny too! PPs: I have insecurities too. We all do. It’s all about how we handle them. As you know, I’ve been working on my Body, Mind and Spirit and I get the feeling that this is going to shape the direction of Bonita Valli this year. I recently downloaded an app called ‘7 minute workout’ and I love it so much, that not only have I been preaching it to anyone that will listen, but I’ve actually been doing this workout about 3 times a week which is probably more exercise than I ever did last year. 7 minutes is a series of 12 exercises that work the entire body allowing for maximum intensity in a short period of time. They appear very easy upon initial examination until you actually start each of the 12 workouts. Each workout is 30 seconds and separated by an equivalent 30 second break. What I love most about this is the convenience (you can do it at home and the maximum requirement is a chair)! 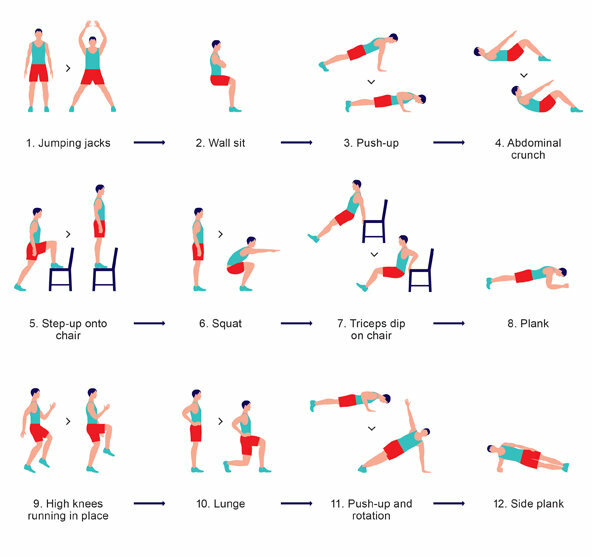 Below is a break down of each of the exercises…. Who needs a gym when you’ve got 7 minutes? Ps. I also started playing Tennis, I’m learning how to serve now which is the greatest challenge! Author Bonita ValliPosted on March 12, 2014 Categories BodyTags 7 minutes, Body, Exercise, Kehinde Fanimokun, Workout5 Comments on Got 7 Minutes?